Join the national day of protest, Saturday, June 6. 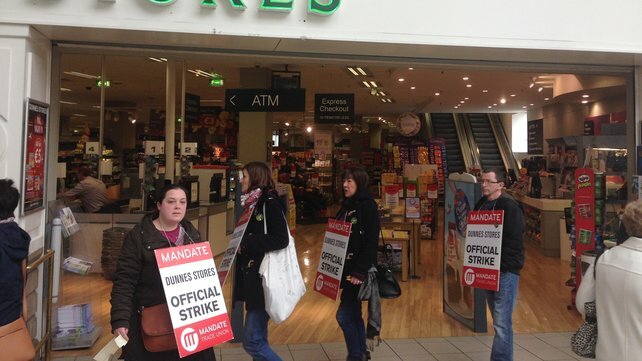 Assemble 1pm, Merrion Square for march to Dunnes Stores Head Office on Georges Street, Dublin 2. An injury to one is the concern of all! 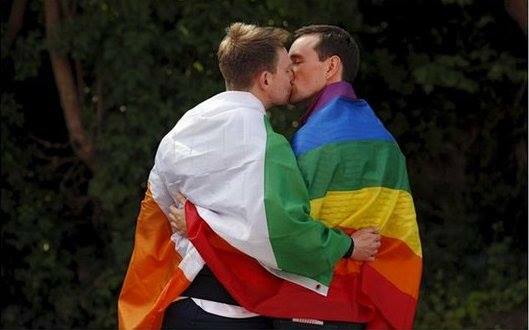 The south of Ireland has given a resounding ‘yes’ to equal marriage rights. The vote has gone roughly 62% for, 38% against. In Dublin the vote is more like 70-30 and in some of the big working class areas voting booths have even shown support as high as 80%. Only one constituency – Roscommon/South Leitrim – recorded a ‘no’ majority and it was very narrow. While the Catholic, Presbyterian and Methodist churches called for a ‘no’ vote, they – especially the Catholic hierarchy – no longer have the power to determine the outcome of referenda on social issues. The tide finally began to turn on these reactionaries in the early-mid 1990s and is now clearly moving with the forces of modernisation and liberalisation. At the same, it is important to recognise that the dominant section of the establishment in the south is now the liberal bourgeoisie. 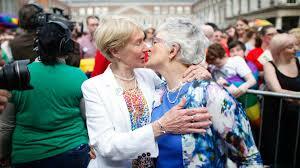 They’re all for gay rights, but are utterly anti-working class. They continue to impose vicious austerity on the working class. The fight against them will be even harder than the fight against the reactionary religious hierarchies. The complete A4 size Jeremiah O’Donovan Rossa poster produced by the Cork Volunteers’ Pipe Band Centenary ( 1914-2014) Project and appearing in the current video version No.1 (see below), is being made available to all. By simply emailing me at lanejames79@eircom.net you will be sent a copy which is suitable for reprinting. Very suitable for framing or displaying as a poster. 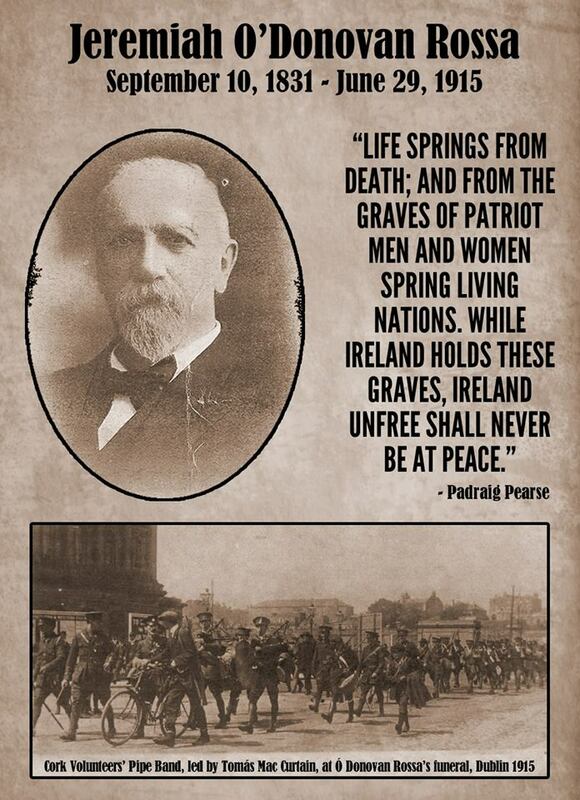 It carries a great message, spoken by Patrick Pearse, over the grave of Rossa, in August 1915, No charge involved. Spread the message today. 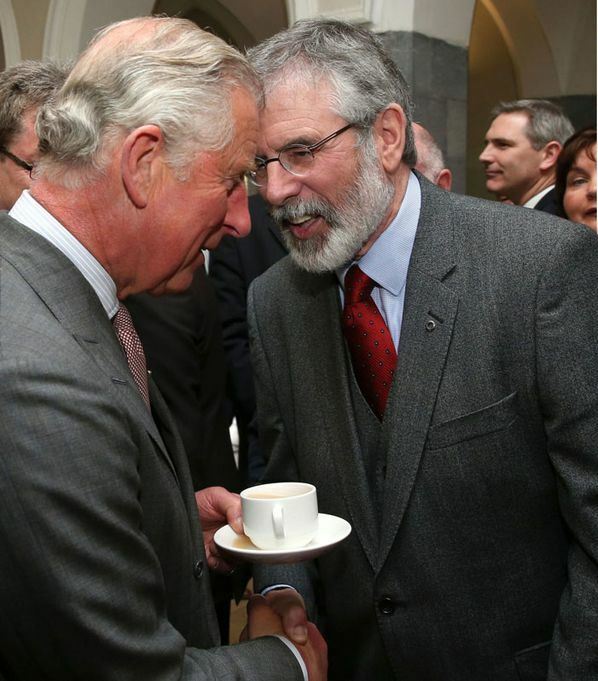 People in the twenty-six counties are about to enjoy the dubious privilege of a short visit by one of the world’s leading parasites and frontmen for militarism, Charles Windsor, the “prince of Wales” and heir to the absurd British “throne”. 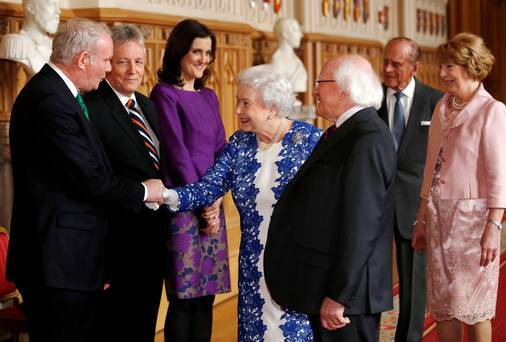 Like royal visits of old – think Victoria “the famine queen” and “King” George V – Mr Windsor, the “colonel-in-chief of the Paratroop Regiment without doing any actual paratroop fighting himself, will be welcomed by, in the words of éirígí, “the assorted royalists, shoneens and West Brits that make up the political establishment in the Twenty-Six Counties.” These lickspittles will, notes éirígí, “work themselves into a proper royal frenzy over the visit of Paratrooper Charlie and his wife. Have your sick-bags at the ready. “The airwaves and print media will be full of soft-focus ‘news’ about the visit, seeking to portray Windsor as a celebrity tourist visiting the usual haunts along the west coast. And we’re going to hear an awful lot about him visiting the spot where his grand-uncle, ‘Lord’ Mountbatten, was executed – cue the tears of a Prince. 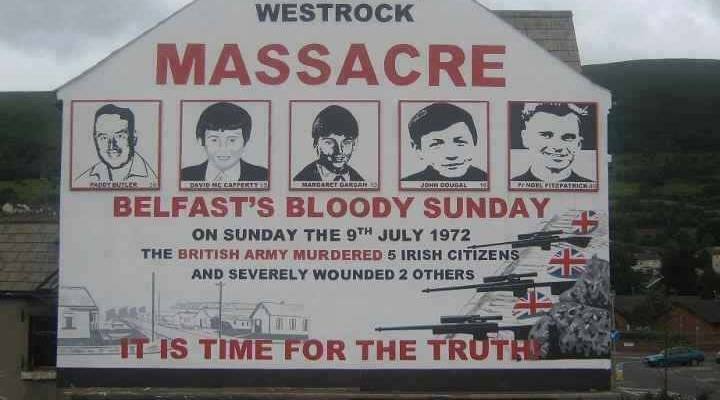 As Charles Windsor, the Colonel-in-Chief of the British Parachute Regiment, visits Ireland we remember the victims of British state murder including the five Irish citizens who were murdered by the Paras in the Springhill area of Belfast on the 9th of July 1972. Among the dead were a priest and three children. Does anyone think RTE will be asking Paratrooper Charlie about his connections to the Parachute Regiment and their murderous attacks on civilians in Derry, Ballymurphy, Springhill and elsewhere? 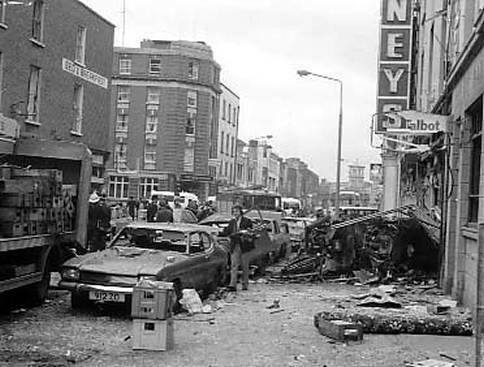 We also remember that on May 17 1974, British agents planted three no-warning car bombs in Dublin and one in Monaghan. The Bombs exploded during the evening rush hour, claiming the lives of 34 innocent Irish Citizens and injuring over 300 more. Britain’s agents escaped unharmed and have never been brought to justice. Over the years the British Government has maintained a cover up designed to hide the facts surrounding the bombings and have continued to refuse to make its files on the bombings public. 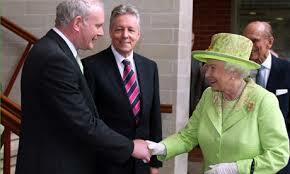 This is a cover up that goes right to the top of the British establishment, a cover up that the Gardaí and successive administrations here in the 26 counties have been complicit in. A cover up that continues to this day! After 41 years, it is time for Britain to tell the truth about its actions. More importantly, it’s time to ensure that the victims of the Dublin and Monaghan Bombings and their families, get the justice they deserve but have been denied for so long. Dr. Lisa McKenzie: Department of Sociology, London School of Economics: Exploring some of the issues raised in her recent book ‘Getting By: Estates, Class and Culture in Austerity Britain’ (Policy Press 2015). Dr. Donal Ó Drisceoil: School of History, University College Cork: Addressing questions on labour and class history, in Ireland. Chris Burgess: Curator of Collections and Exhibitions, People’s History Museum Manchester: Discussing the challenges surrounding the preservation of working class history. Dr. Sean O’Connell: School of History and Anthropology, Queen’s University Belfast: Professor of Modern British Social History: Presenting research on oral history and its nuances. Mike Morris, Co-Director of Merseyside Writing on the Wall, a community-based organisation which celebrates writing in all its forms: ‘George Garrett: Seaman, Syndicalist and Scribe’. Ciara Hickey: Curator and Gallery Manager, Belfast Exposed. 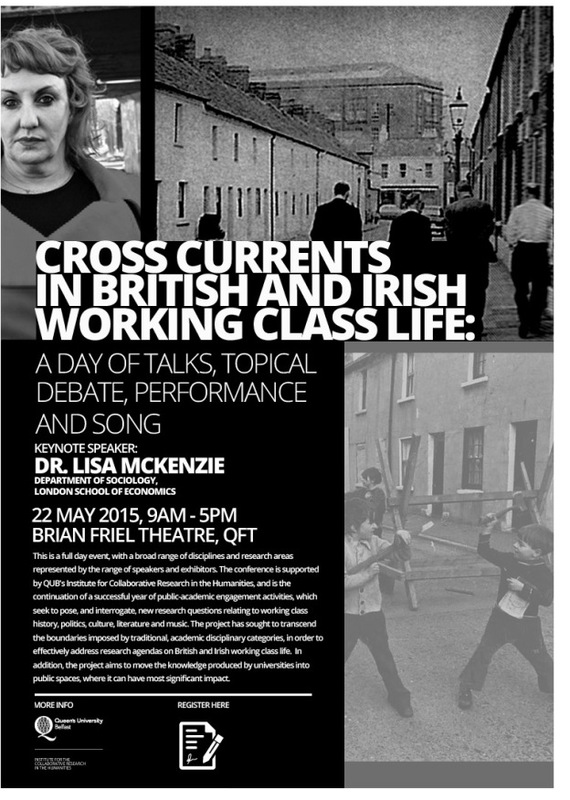 Speaking about the work of Belfast Exposed and showing a film currently on display there.